Craving some drifting action but lacking funds? No problem, treat yourself to an RC Drift Car! We review 19 of the best from budget to premium to find you the perfect RC Drift Car for you. 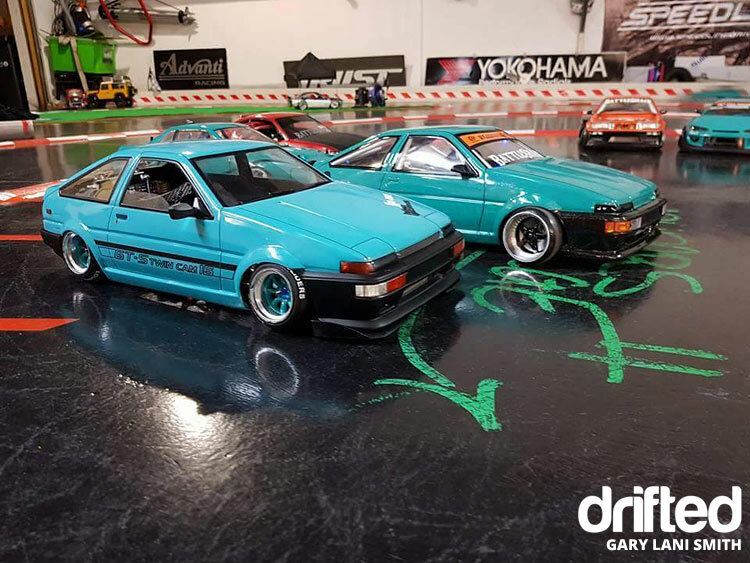 Ever wanted to give drifting a try but are too young or don’t have the budget? Fear not, because remote control drift cars are an accessible and affordable solution to your problem. And they still need to be modified to compete in races, so you can alter them to your heart’s content and this way, you will never be injured on the race track as you compete in miniature form. 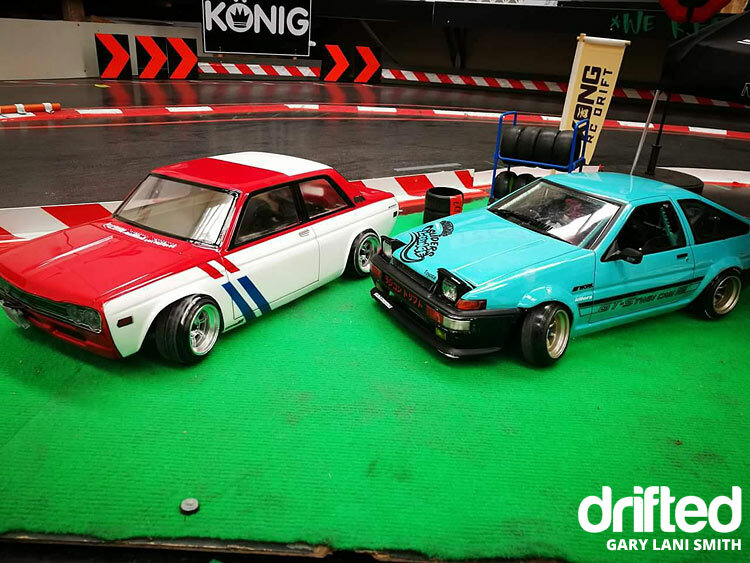 The RC drift cars are faithfully recreated scale models of real-life track vehicles and they are fully customisable, so the suspension, steering and power can be modified to match different circuits. 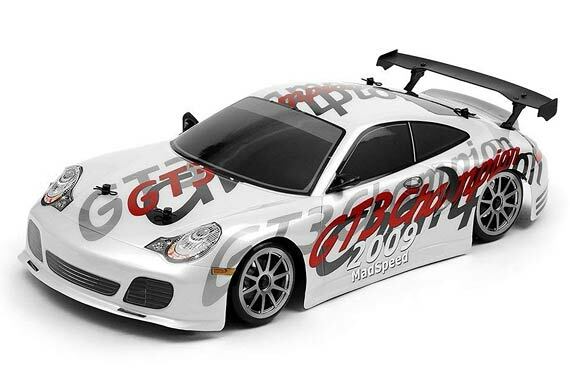 Whatever your price range, there will be an RC drift car for you as cheap, mid-range and high-end models are available. This fast-growing sport is taken very seriously indeed by its devotees and you can compete without even having to leave the comfort of your own home! 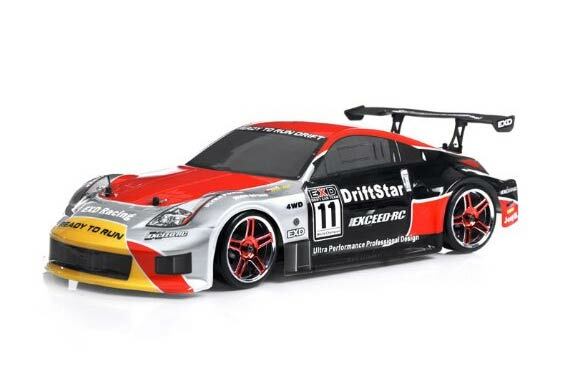 We have curated a list of our favourite RC Drift Cars on our Amazon Storefront. Check it out! 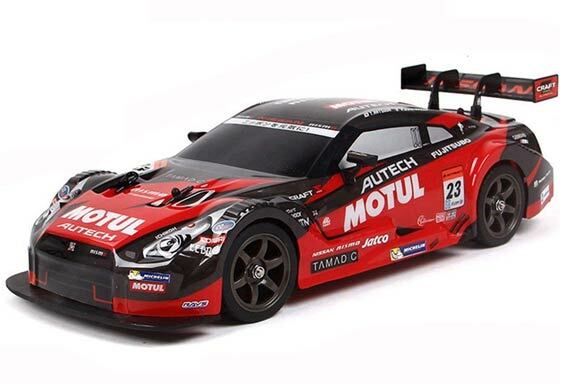 This versatile RC drift car is driven by a 2.4G remote control which allows you to drift with multiple cars. It is made from high quality plastic, which is durable and flexible. The Super GT comes with a choice of four “speed” tires and four “drift” tires, which enables it to perform a U-shaped drift and a perfect figure of 8. It is very fast and gives you a good insight into actual drifting. The package includes: RC drift car, remote control, two sets of tires, cross wrench, screwdriver, two drift roadblocks, six rechargeable batteries, charger and a 9 volt remote control battery. 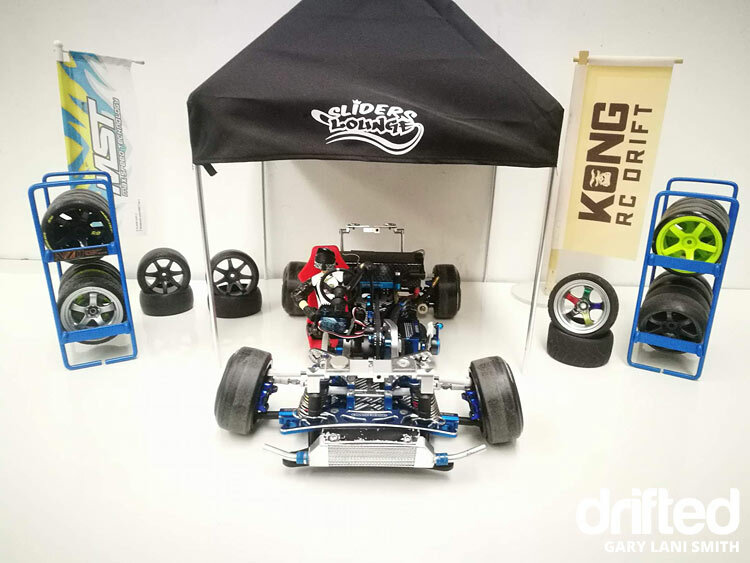 This easy to use RC drift car is perfect for beginners and is available for a knock down price, making it a perfect gift for your sports mad youngster. Another budget option is this stylish super car. It contains a high performance motor paired with a rechargeable lithium battery, allowing it to reach speeds of up to 15 mph. The Reaper Racer drift car uses a PRO 2.4 GHz RC system, so you can race multiple cars at once without any interference. The product includes the lithium battery with USB charging cable and the remote control and battery. The car has a lightweight, interchangeable chassis with metal body pins and a rear racing spoiler, so you can alter it depending on the race. The premium semi-pneumatic rubber grip tires allow you to keep your position on the road and the fully functional Pro-steering makes the Reaper Racer easy to control. 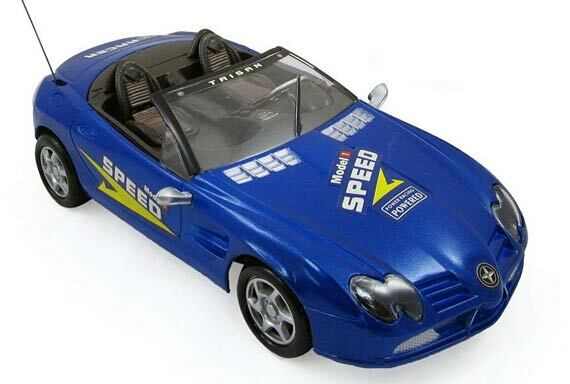 This speedy RC drift car is perfect for uninterrupted outdoor use. 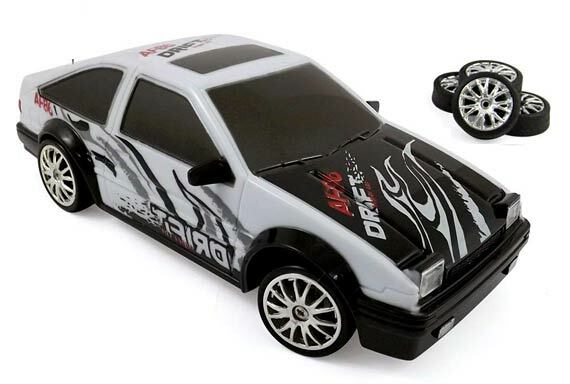 Another wallet pleaser is this super fast RC drift car finished in stylish monochrome. It is fully responsive, allowing you to easily perform U-shaped drifts and figures of 8. The Drift King is fitted with four smooth tires, so you can mimic full-sized racers and four rubber tires to give you added traction when cornering. It also features working headlights, backlights and sidelights. The car is suited to drifting on flat surfaces, so it’s best to use it inside the house. For the classier minded hobbyist comes this officially licensed scale model of the brand’s new sports car, which means “venom” in Spanish. The glossy red drift car is made from lightweight non-toxic ABS plastic and can be raced inside and outside, using the remote control. 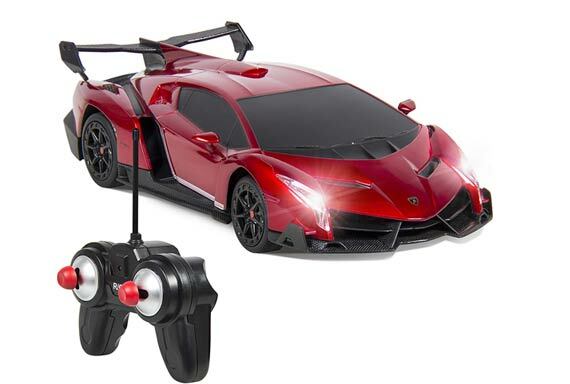 This highly collectible miniature Lambo will make you the envy of your friends, as it replicates the real thing from the shock suspension system on its four rubber tires down to its fully functional front and rear lights. It is very fast and easy to manoeuver due to the fine tune adjustment switch on the bottom of the car. This is another licensed replica of a full-size sports model. 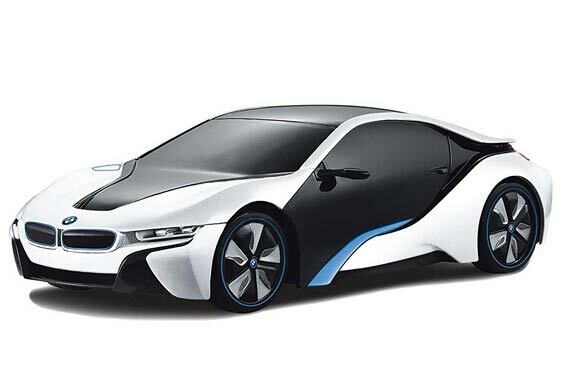 The i8 Concept RC car is fitted with custom made BMW wheels with rubber grip tires, making it perfect for drifting. 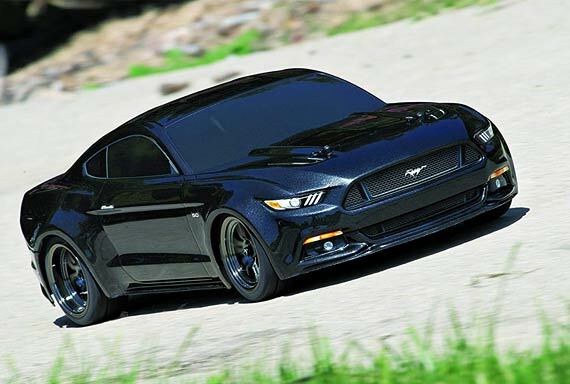 Its authentically-styled body makes it a dead ringer for the real deal. It moves rapidly and is easy to control using the included remote. 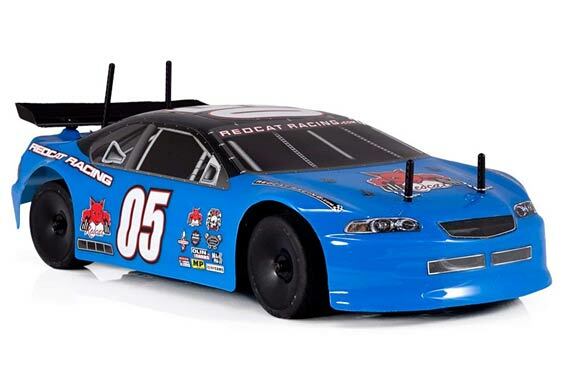 This powerful RC drift car is aimed at children with a need for speed, giving them their first taste of the race! It has a durable, detailed exterior with working headlights and tail lights and is available in blue, red or silver. The Super RC has fully functional steering and turns on a dime! But watch out as your kids race it around the kitchen, the backyard or on the sidewalk! In the mid-range comes this snappy metallic blue racer. Featuring adjustable independent suspension and aluminium oil-filled shock absorbers, you can tune it to your style of driving. 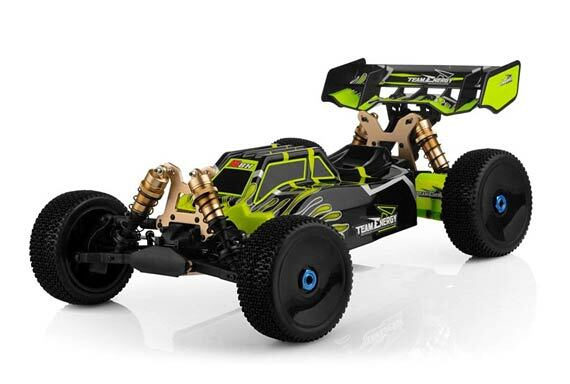 Its combination of a 27T 540 brush motor and specialist RC drift tires allow the Lightning EPX to corner effectively while maintaining a steady momentum. The shaft-driven 4WD helps you to keep control when drifting and the lightweight chassis makes it easy to recover from knocks. It also incorporates a forward and reverse electronic stability control (ESC), so it can back away from trouble and keep drifting! The model uses a 2.4 GHz radio system which enables it to negotiate corners in a matter of seconds. It comes complete with a rechargeable battery pack and charger, after which it will be ready to go. It runs well on smooth surfaces, so feel free to whizz it around your house or down the street! 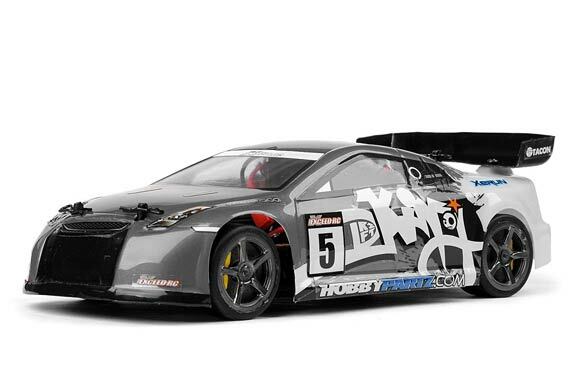 This distinctive street-ready RC drift car is packed with high-tech features and will leave competitors trailing in its wake. Moulded from lightweight aluminium and with an eye-catching design that simulates a real race car, it grabs the attention of onlookers. The Madspeed Drift King has a low centre of gravity and is powered by a high-performance motor linked to a brushless ESC, which creates a variable remote control frequency and allows it to generate the volume of torque and RPMs necessary for high-speed drifting. It also includes oil-filled shock absorbers and a foam bumper for added protection. The detailed design features rubber drift tires, side-view mirrors, a rear wing, a chrome exhaust pipe and LED head, tail and interior lights. So, get ready to hit the streets and take on all comers with the Drift King! This striking fire blue RC drift car is the ultimate street machine. Inspired by the Nissan 350Z from the Fast & Furious: Tokyo Drift movie, it has been lovingly recreated in miniature for intense wheel-spinning action. Featuring a lightweight, pre-painted aluminium shell, the Madspeed RC drift car has intricate side-view mirrors, wheels, rear wing and chrome exhaust and will turn heads due to its hard-hitting design. It combines a high-powered motor and ESC with a low center of gravity to create enough torque and RPMs to satisfy the most demanding of enthusiasts. And its use of oil-filled shock absorbers and a durable foam bumper and rubber drift tires will keep it on the road for the foreseeable future. 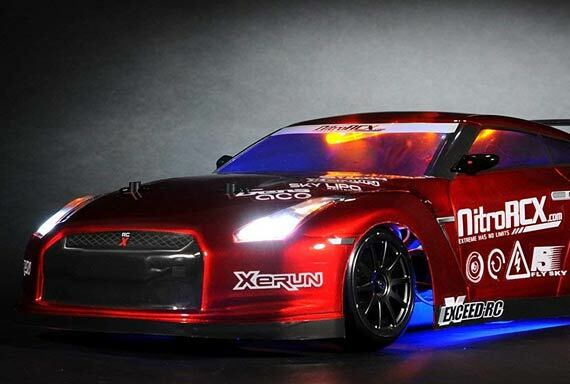 Get more bang for your buck with this super cool RC drift car. Finished in charcoal complete with graffiti for that urban look, the Mad Pulse will power down the sidewalk like a car possessed, so pedestrians beware! This impressive street machine combines 4WD with coil shock absorbers, fully adjustable suspension and a high-performance electronic system to awesome effect. It is equipped with grip tires for added control when drifting, making for a pulsating race. The vehicle is driven using a 2.4 GHz radio controller and powered by a brushed motor and ESC. Because of its small size, the Mad Pulse can be raced anywhere, so just set up a course in your living room and power to the finish line! This captivating RC drift car allows you to recreate the world’s oldest endurance race from the comfort of your own home. The prestigious French automobile contest is one leg of the Triple Crown of Motorsport, alongside the Indy 500 and the Monaco Grand Prix, so what better way to honour this great lineage, than to stage your own battle for racing supremacy by indulging in a spot of thrilling drift action. Finished in sporty green, the Le Mans Drift Car has a host of up-to-the-minute features that will leave its competitors reeling. It utilizes a low centre of gravity and independent suspension to withstand the destructive elements of drifting. Incorporating oil-filled shock absorbers and a foam bumper to reduce knocks, it is a durable high-performance racer. Powered by a brushed motor and ESC, it is very fast and easy to manipulate using the pistol grip remote control transmitter. 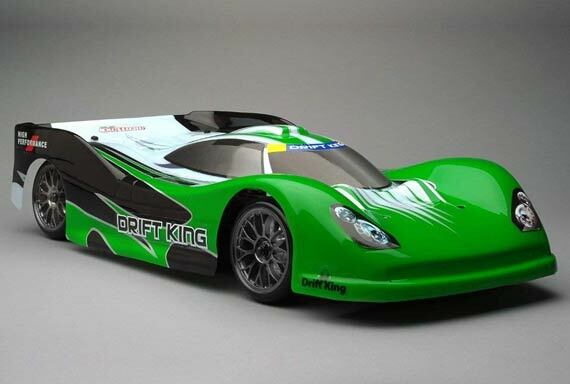 This ready to run RC drift car uses electric power and is equally suited to indoor or outdoor driving. A scale model of the popular road racer, it is modified for drifting by the inclusion of solid anti-skid tires, which are pre-mounted on high performance wheels. The Drift Star uses a programmable 45 amp brushless ESC and brushless motor, so it can take on tight angles at high speed. It is equipped with aluminium-threaded shock absorbers, which allows the suspension to be tuned quickly and easily, thereby reducing the spring weight and overall weight of the car. Its four wheel drivetrain enables it to drift on a variety of surfaces and it knocks spots off its rivals. 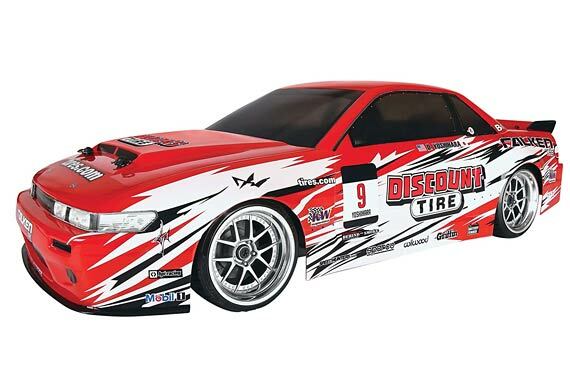 Coming right out of Formula DRIFT, the HPI Racing take on the Discount Tire Falcon Nissan S13 is a superb RC drift car. This is the 1/10 scale electric powered, 2.4GHz radio controlled, ready to run HPI E10 Discount Tire/Falken Tire Nissan S13 Drift Car. FEATURES: Chassis: Bathtub type 0.078″ (2mm) thick with quick change battery holder and adjustable motor and radio equipment positions to easily convert from street/touring to drift driving with no extra parts to buy. Instead of driving an RC drift car down the street, you could take a miniature dirt buggy to the Great Outdoors! This pre-painted, factory assembled basher is ready to run using the crystal clear 2.4 GHz radio transmitter. It is finished with a hardened steel spur and pinion gear for extra sturdiness and dirt and stone guards protect the rear suspension from obstacles as it traverses rough terrain. The T8X uses the powerful and reliable 540L 2400KV brushless motor with a cooling fin to achieve its high performance. This off-roader is designed for durability and precision because of its toughened suspension and almost laser-guided handling. It is suitable for top-level racing as it can take on jumps and bumps with the best of them! The T8X is streamlined for performance due to its narrow aluminium chassis and side-guards, which are lighter than similar racing buggies and also allow for optimized weight distribution of the mounted electronics, thereby improving overall handling. Because it is brushless-powered you can drive it straight away, unlike its nitro-powered equivalents that need to rev up their internal combustion engines. This way, you can drive what the winners drive! 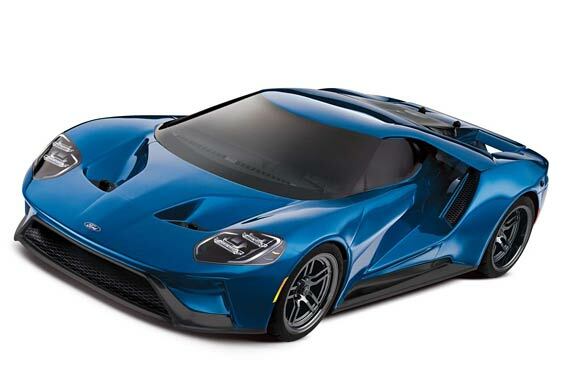 This is an officially licensed scale model of the Ford GT, which has been modified for drifting by the inclusion of high-performance street tires mounted on replica black chrome rims with brake discs and red callipers. Traxxas has captured the elegance and power of the aerodynamic real-world vehicle, which won the historic 24 Hours of Le Mans race. 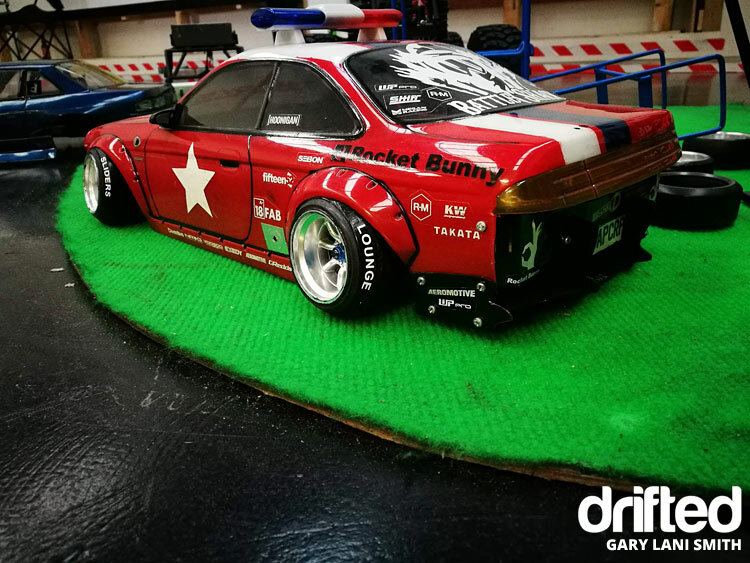 This RC drift car faithfully recreates the flying buttress design of the original, down to the tail lights and the exhaust tips. The high tech chassis uses a modular interlocking design that keeps weight low and allows for easy maintenance. This gives the vehicle a hard-wearing but responsive feel. The smooth undercarriage reduces drag and prevents wear and tear on expansion joints and the fine-tuned suspension allows the car to grip the road surface for maximum performance. The Titan 12t motor powers all four wheels, leading to a top speed of up to 30 mph. The Ford GT comes complete with a waterproof XL-5 ESC, which maintains power whatever the weather, so you can keep driving in rain, mud or snow! In a similar vein, comes the Mustang GT. As you would expect, this replicates the seminal sports car down to the ground. This aggressive-looking RC drift car is finished in cool black chrome, with corresponding rubber tires and chrome rims for added grip on treacherous surfaces. The 2.4 GHz remote control provides a long-range interference-free performance and allows multiple vehicles to be raced at the same time. The high tech chassis uses a fixed mounting system to set your gear mesh precisely each time and the waterproof ESC maintains power in adverse weather conditions. Yes, RC drift cars can also be ridden on but they will only support the weight of a child! 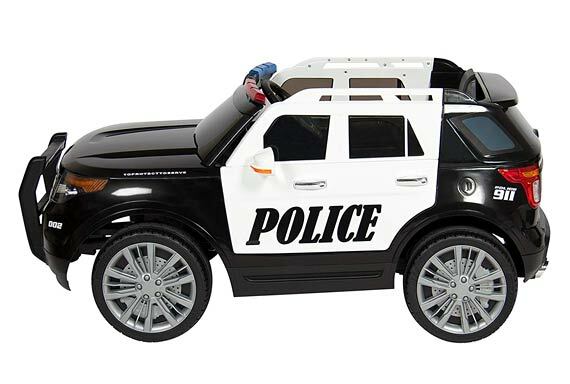 Your budding cop can now fight crime from this realistic-looking Police vehicle! The car can be safely driven manually by a child or controlled remotely by their parent. It includes a real siren, flashing lights, horn and engine sound or the child can play music through the provided AUX cord. So, what are you waiting for? Send your kid out on patrol! Those criminals won’t catch themselves! 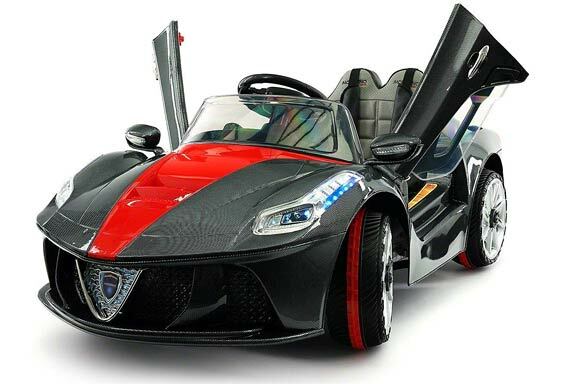 Your child can also indulge their dreams of being a racing driver in this motorised ride-on toy car. The model has a top speed of 5 mph so crashes are unlikely and parents can control it remotely. The Ferrari Spider GT includes a seat belt, a reliable braking system and rubber traction tires to allay safety concerns when drifting. The integrated MP3 player lets your child play their favourite music when driving and ramps up the enjoyment factor. And now to the daddy of them all. 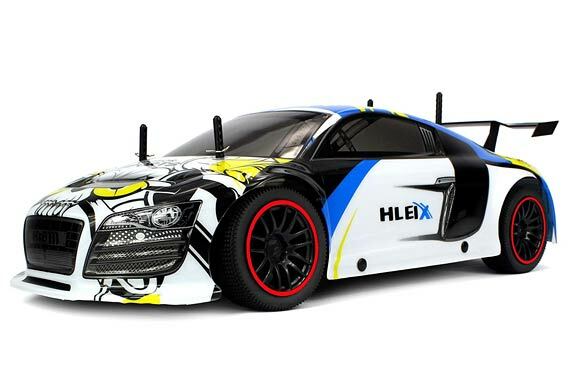 This performance-optimized RC drift car is suitable for all-day driving and will unleash a torrent of rallying fun. Its purpose-built design and innovative features lead to faster speeds, a longer runtime and extended motor life. The Rally car easily switches terrain: its long-travel suspension tackles off-road environments, then it transfers to the sidewalk for scintillating full-power drifts. 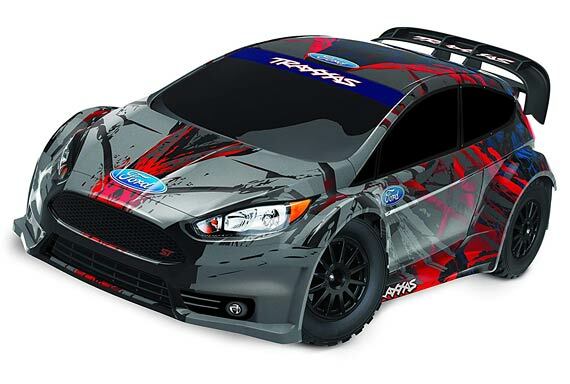 The Traxxas Ford Fiesta replicates the full-throttle excitement of real life vehicles and their dynamic racing style. And the waterproof electronics allow it to keep drifting come rain or shine! You can also use Training mode to cut the power in half for young drivers or beginners, before unleashing the full shebang! Drifting is a high-octane style of driving with a thin line between control and chaos. Therefore, by using RC drift cars, you can experience all the excitement with none of the danger. So, there’s no time like the present to get involved in this increasingly popular sport. I hope you have enjoyed our countdown of the best RC drift cars and are inspired to have a go yourself!